Looking for Criminal Defense Attorneys in Somerset Center? Jackson Eaton-Gordon & Associates, PLLC understands that being accused of a crime in Somerset Center is a serious matter that needs to be addressed but with help from the experts it doesn't have to be a scary experience. When you hire a criminal defense attorney from Jackson Eaton-Gordon & Associates, PLLC you will have a respected and experienced defense attorney as your advocate, helping defend your freedom, your rights, and your reputation. We live and work here so we know the local Somerset Center legal system and all of its key players. The State of Michigan's criminal justice system is eager to apply charges and secure convictions, a lot of the times not taking into consideration the situation and nature of the offense. Our job at Jackson Eaton-Gordon & Associates, PLLC is to ensure your specific situation is properly portrayed and defended. Rest assured the consequences and repercussions you are currently dealing with can be mitigated. 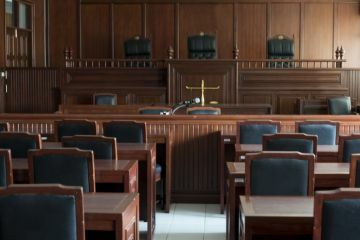 We at Jackson Eaton-Gordon & Associates, PLLC have over 118 years experience defending both misdemeanor and felony cases in Somerset Center and we are prepared to strategically defend your innocence. Being charged with a crime is a serious matter and can severely damage your future. As part of our service, we offer immediate representation during your arrest and initial investigations all the way through to any post-conviction matters. The expert Somerset Center criminal defense attorneys at Jackson Eaton-Gordon & Associates, PLLC are prepared to assist you with your toughest legal challenges. Regardless of the circumstances that you got you there, we offer consultations and criminal defense services with no judgment. Our firm was established on the belief in the preservation and protection of constitutional rights for all. If you are charged with a crime in Somerset Center you are innocent until proven guilty. Jackson Eaton-Gordon & Associates, PLLC is your local solution for criminal defense legal services in Somerset Center. With a wealth of experience, we will strategically advocate for you and determine the best strategy to defend your case. Don't hesitate, call us immediately at (517) 234-1981 to protect your reputation and your rights.